Desiccated liver with added vitamin B1 (thiamin) and B12. Vitamin B1 contributes to the normal function of the heart and energy yielding metabolism, whilst vitamin B12 contributes to normal red blood cell formation and the reduction of tiredness and fatigue. Take one to three tablets daily, preferably with meals. Do not exceed recommended dose. This preparation is not intended for the treatment of pernicious anaemia. Intended for human consumption. 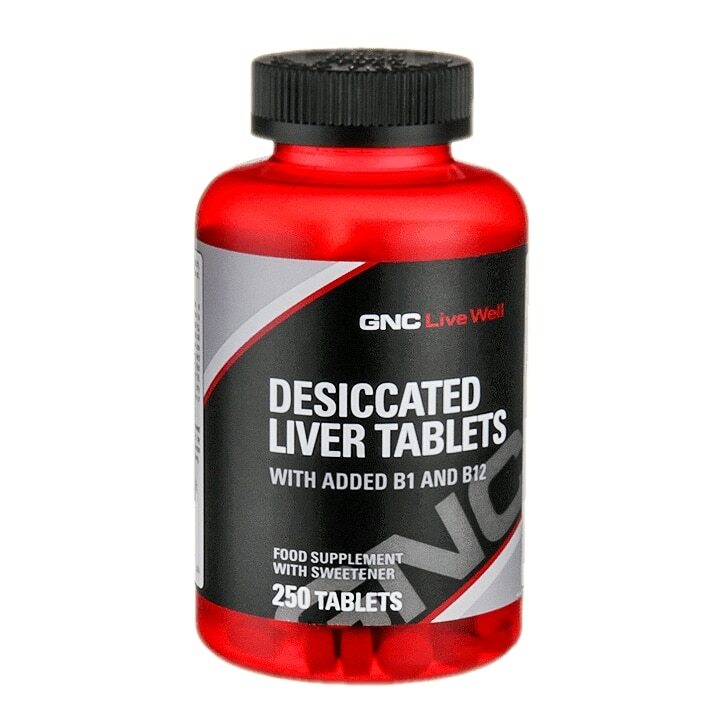 Desiccated Liver, Bulking Agent (Microcrystalline Cellulose), Anti-Caking Agents (Calcium Silicate, Silicon Dioxide, Magnesium Stearate, Stearic Acid), Sodium Carboxymethylcellulose, Glazing Agents (Hydroxypropyl Methylcellulose, Triacetin, Carnauba Wax), Thiamin Hydrochloride (Vitamin B1), Maltodextrin (Sulphites), Emulsifier (Polysorbate 80), Sweetener (Mannitol), Vitamin B12 (as Cyanocobalamin). No Artificial Colours or Flavours. No Preservatives. No Starch, No Milk, No Lactose, No Soya, No Gluten, No Wheat, No Yeast, No Fish, No Porcine.